Saudi Arabia made history in April 2018 with the launch of its first cinema at King Abdullah Financial District (KAFD) – operated by AMC Cinemas, followed by a 4 screen VOX Cinemas at Riyadh Park Mall in May 2018 – featuring IMAX and Kids experiences. The Kingdom recently marked another historic milestone with both a private (Wednesday 13th March 2019) and public screening (Thursday 14th March 2019) of a Saudi film titled Roll’em at VOX Cinemas – Red Sea Mall. Roll’em – written, directed, shot and produced over three years, features an all-Saudi crew (from the actors to the sound director). 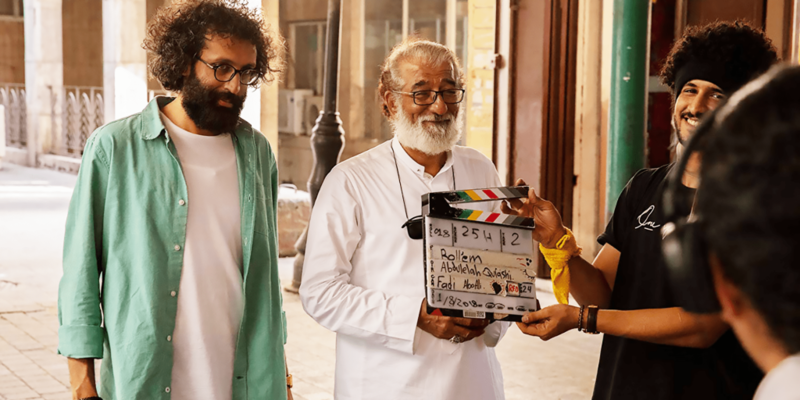 The brainchild of director Abdulelah Al-Qurashi, co-producer Abdulrahman Khoja, and screenwriter Yasser Hammad, tells the story of a Saudi filmmaker named Omar Nizar who meets a retired 1970s cinematographer while on a journey to discover his home city of Jeddah. With diverse characters and an incredible cast, this family-friendly movie will show a different image of Jeddah. “It’s a Jeddawi film to the core. The post-production was in Egypt. The areas where we don’t have expertise in we had to outsource, but everything that had to do with the creative work is purely Saudi,” said Hammad in an interview with Arab News. “The idea (for the characters) came up from a joke actually. I was pretending to be an old cinematographer and using Hejazi words and the accent. It inspired me to create a character,” he said. “We had our inspiration from actual film directors from the 1970s in Saudi Arabia that no one knows about. They tried to pursue the same dreams we had, but failed because of their circumstances.” he added. Roll’em is the first of many more local projects to be released. Experts believe that Saudi Arabia could produce $1 billion in revenue over the next 3 years, and by 2030 it could be among the 10 biggest film markets in the world.